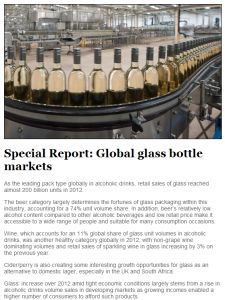 As reported by Karine Dussimon in thedrinksreport.com, glass bottles continued to lead the pack globally in 2012, among all containers used for alcoholic drinks. Despite the tight economic conditions in the United States and Europe, the demand for glass bottles around the world has gone up from the previous year, thanks to the increasing sales volume of alcoholic drinks in developing markets such as Southeast Asia, Latin America, and China. India and Eastern Europe also showed solid sales growth for glass bottles. Meantime, glass bottle sales in Western Europe and North America remains more or less flat, but these regions continue to be the containers’ key markets. From the figures indicated in Ms. Dussimon’s report, the worldwide demand for glass bottles will, in all likelihood, continue to rise as declines or standstills in traditional markets are offset by increases in newer ones. 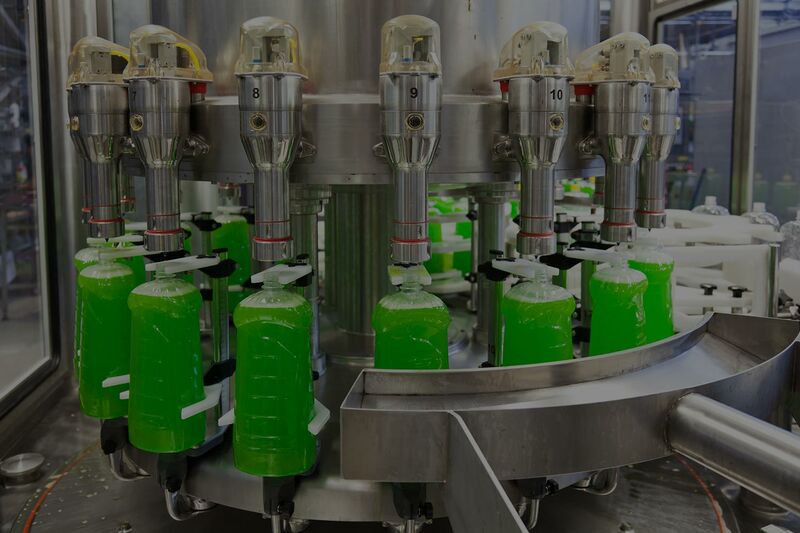 The need for reliable glass bottle-making machines and efficient cappers can also be expected to go up in the coming years. Ms. Dussimon’s report indicates a correlation between the performance of glass bottle sales and a region’s consumption of alcoholic beverages. The latter traditionally rises along with increasing income levels. Beer manufacturers are the largest users of glass bottles, accounting for 77% of total volume; wine glass bottles, on the other hand, make up 11% of the total volume, a figure considered healthy in the industry. In mature markets such as Western Europe and North America, the demand for alcoholic beverages have declined because of adverse economic conditions and increasing health concerns. However, sales of these products are not expected to dramatically go down anytime soon, and the flat trend in sales is seen to continue until 2017. These they remain significant to the glass bottle industry, given the annual sales volume they generate. As the alcoholic beverage industry is not expected to slow down anytime soon, its peripheral packaging industries also need to keep up with its pace. Capping machines, which are indispensable to alcoholic beverage manufacturers, particularly those who use glass bottles, have to be designed to be flexible, fast, and accurate. In addition, these machines need to be cost efficient and durable to effectively support the manufacturing process. Reliable capping machines such as those made by Filling Equipment Co. Inc., are vital components of the alcoholic beverage industry. While the make-up of the market may change, all indications are that the demand for these beverages will remain robust. To meet market demand, alcoholic beverage manufacturers can rely on machines and equipment from established and experienced makers such as Filling Equipment Co. Inc.